Louisiana is a state in the south-eastern United States on the Gulf of Mexico. There are many famous Native American tribes who played a part in the history of the state and whose tribal territories and homelands are located in the present day state of Louisiana. 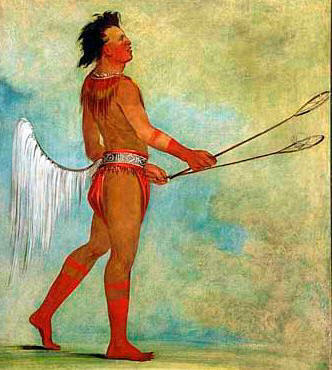 The names of the Louisiana tribes included the Adai, Alabama or Alibamu, Apalachee, Muskogee Creek, Avoyel, Bayogoula, Tunica - Biloxi, Caddo, Chatot, Chawasha, Chitimacha, Choctaw, Houma, Koasati aka Coushatta, Koroa, Mugulasha, Atakapa, Natchez, Okelousa, Opelousa, Ouachita, Pascagoula, Quapaw, Quinipissa, Souchitioni, Tangipahoa, Tawasa were Muskhogean, Washa and Yatasi. 1729: Following the Natchez Wars of 1716, 1722 and 1723 the Natchez Rebellion (1729�1731) when Natchez Indians massacre 250 people at Fort Rosalie.